Home - silkebritzens jimdo page! 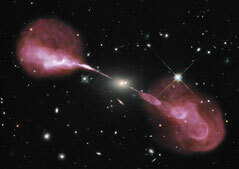 Active supermassive Black Holes and their jets - that's my field of research in Astronomy. In particular, I am searching for pairs of supermassive black holes that might merge in the future and emit gravitational waves. With the help of Very Long Baseline Interferometry I am studying acitve Black Holes (e.g., M87) and their stories. I am teaching at the University of Heidelberg. The subject is "Black Holes and other Unsolved Problems in Astrophysics". Please find the current dates here. For PhD-projects please check here. My homepage at the Max Planck Institute for Radio Astronomy. 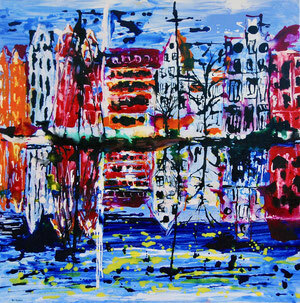 In case there is a bit of time and space without science, I like to paint with lots of colour.